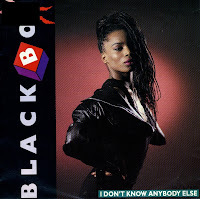 'I don't know anybody else' was the second hit single for the Italo house band Black Box. It was the second single from their debut album 'Dreamland' and was released in the first months of 1990 in most of countries worldwide. The single peaked at number 4 in the UK singles chart, number 23 in the US Billboard Hot 100 and number 37 in the Dutch Top 40. The song features an un-credited Martha Wash on lead vocals. Wash later sued the record label for royalties and directly contributed to legislation ensuring proper credit for vocalists on both songs and music videos. 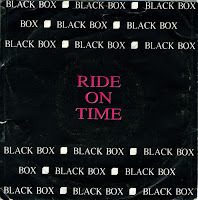 Due to the fact that the cover and the label of this single contain no information about this track, it's impossible to determine whether this is the original release of Black Box's 'Ride on time' or a re-release. My guess is that it's the original, since even the track 'Love sensation', on which 'Ride on time' is based is included on the B-side. 'Ride on time' was written and produced by the Italian production team Groove Groove Melody, consisting of DJ Daniel Davoli, programmer Mirko Limoni and musician Valerio Semplici. The team worked with model Catherine Quinol (aka Katrin), who was the face of Black Box. In the video and in live performances she lip-synced to the original vocals. The song sampled Loleatta Holloway's 1980 disco hit 'Love Sensation' and attracted some controversy for the uncredited use of Holloway's vocals from that song. Holloway's counsel engaged in a press attack on Black Box, successfully securing a settlement that paid the singer an undisclosed sum.